On Sept. 12, the Missouri Supreme Court, in a decision authored by Judge Brent Powell, ruled against Abbott Laboratories and upheld nearly $40 million in damages to a Minnesota Plaintiff in a case tried in the City of St. Louis. Very Brief Background: The case involved a Minnesota plaintiff, Maddison Schmidt, alleging product liability injuries from the drug Depakote, manufactured and marketed by Abbott Laboratories. All of the plaintiff’s claims occurred in Minnesota. The case was filed in the City of St. Louis along with (among other out of state Plaintiffs) four St. Louis City Plaintiffs who claimed similar injuries from the drug Depakote in the City of St. Louis. One important note: Personal jurisdiction was waived by Abbott Laboratories and therefore the recent Bristol Meyers Squibb decision by the U.S. Supreme Court was not discussed and was not applicable. The Missouri Supreme Court upheld a verdict of $15 million dollars in compensatory damages and $23 million dollars in punitive damages (the punitive damages and failure to warn claims were decided under Minnesota law). The Decision: While the case has some nuances, the big takeaway is that it turns on the current state of venue/joinder in the State of Missouri. 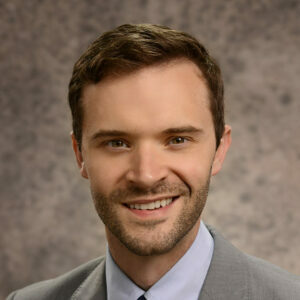 The Minnesota plaintiff was joined with St. Louis city residents in order to satisfy the current venue requirements set forth in 508.010 RSMo. Had the case with the Minnesota plaintiff been filed by itself in St. Louis City, venue would not have been proper as Abbott Labs has their registered agent in St. Louis County. Under the current venue/joinder regime in the state of Missouri, an out of state Plaintiff need not independently show venue is proper as for each individual Plaintiff. The plaintiffs established venue by joining the Minnesota Plaintiff with plaintiffs alleging injuries that occurred in St. Louis City. Under Supreme Court Rule 84.13(b) failing to transfer venue or sever claims requires a showing of prejudice that materially affects the outcome of the action. While the case was separated for trial and tried separately from the St. Louis City claims, the Supreme Court found that leaving the case in St. Louis City did not rise to that level of prejudice required under 84.13. Here is why it matters: First, the finding is troubling and highlights the almost insurmountable burden a business has to overcome the requirement to show it was prejudiced by the failure to transfer or sever the claims. Second, if the current venue and joinder statutes are not fixed in the 2018 legislative session, awards such as the recent Abbott Labs case in the City could continue. While the recent personal jurisdiction jurisprudence will further limit cases brought and adjudicated in St. Louis City, the venue and joinder statutes still leave a wide-open hole for trial attorneys to funnel out of state cases into the City of St. Louis. 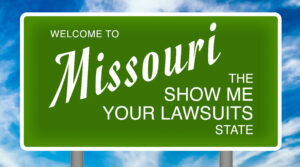 One solution is to amend sections 507.040 and 507.050 of Missouri’s revised statutes to require each individual plaintiff joined in a single action show personal jurisdiction is proper for each defendant, and that proper venue is established for each defendant independent of claims against any other defendant. Additionally, the venue statute in 508.010 RSMo must be amended to include language that venue for each plaintiff and each defendant cannot be established simply by joinder or intervention. Similar legislation was proposed in the 2017 legislation session and misjoinder/venue legislation is expected to be filed in the 2018 session. Venue and joinder reform would fix this problem and should be a top priority. 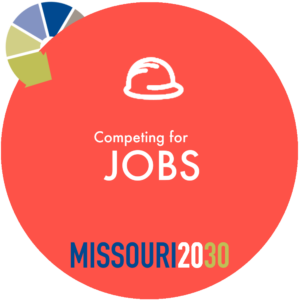 For more information, contact Justin Arnold, general counsel for the Missouri Chamber of Commerce and Industry, at jarnold@mochamber.com or 573.634.3511.